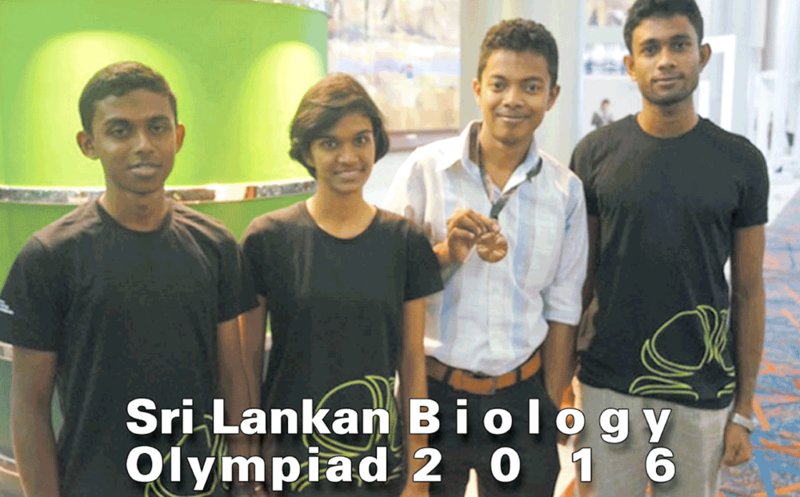 Sri Lankan students can now compete and win medals in Sri Lankan Biology Olympiad 2016. Four students will also be selected to participate at the International Biology Olympiad to be held in England, UK in 2017. Students sitting for Local or London A/L exams in 2016 or 2017 are eligible to apply. There is no age barrier for the local competition, but to participate in the international competition, The student should be below 20 years of age on 30 June 2017. Application fee is Rs. 800.00. This is a nonrefundable fee. This should be paid to any People’s bank branch to Institute of Biology account number 086-1-001-4-1191763 of Thimbiriyasaya Branch of Peoples Bank. Applicant should complete the application form and post it with the Payment slip issued by People’s bank to the following address on or before 31 May 2016.